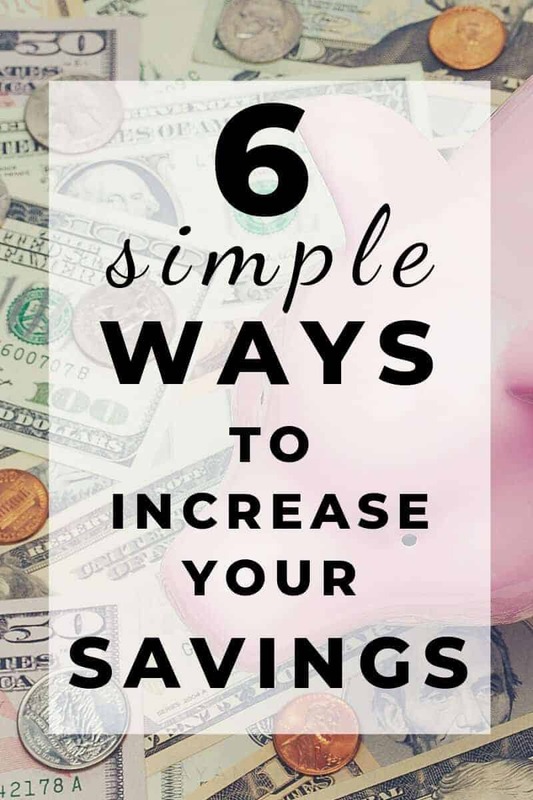 Interested in Increasing Your Savings this Year – Here are 6 Simple Ways to do just that. 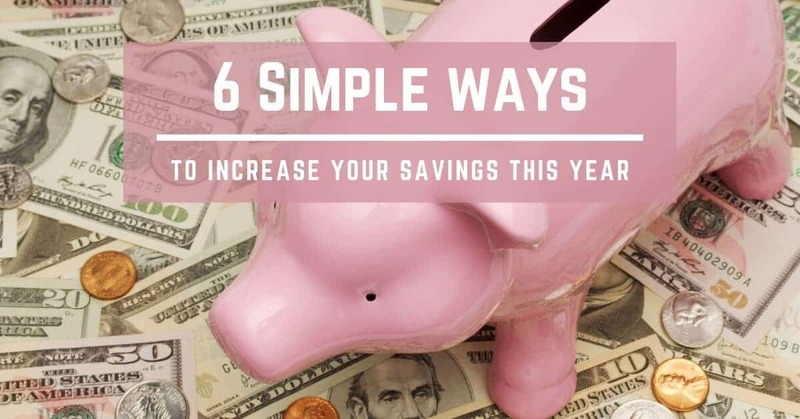 Whether you just had to drain your savings for an emergency repair or simply want to add more money to your savings account this year, increasing your savings can sometimes seem like an impossible task. But there are several easy ways you can add to your savings throughout the year. As you work on your family’s financial plan for the year, consider these simple ways to increase your savings. If you like to track your savings, this free SAVINGS TRACKER printable can help. You just fill in how much you are saving weekly for each month and total up your savings amount for the year. The best way to increase your savings is to make sure you set aside money for your savings account each month. Making it a habit to pay yourself first will ensure you always put money away for savings instead of trying to scrape together money at the end of the month after all your other expenses have been paid. When setting up your monthly budget, include a figure for savings and set that money aside first. Then, pay the rest of your bills with the remaining funds. To ensure you put money in your savings account, set up an instant transfer after each paycheck is deposited into your account. That way, the money will be instantly moved from your checking to savings, allowing you to set it and forget it. Not only will this help you pay yourself first each month, but it will also help you stay on budget by removing that money from the spending pool before you even know it’s there. We all have a set of monthly expenses that we pay without question, from cell phone bills to car insurance. But when was the last time you took a good look at those expenses to see where you can cut back? Cable Television: If you still have a cable or satellite package for your family, it may be time to ask yourself why. There are so many amazing streaming options that cost a fraction of the price of a monthly cable package. Think about the advantages and disadvantages of cutting out your cable bill completely to decide if it’s right for your family. But if you do consider getting rid of your cable package, you can easily direct those extra dollars each month to your savings account. Cell Phone: Cell phones are a necessity today, so cutting those probably isn’t an option. But you can shop around to see if another cell phone provider can save you money. In addition to considering a new provider, also think about switching from a cell phone contract to a prepaid plan to save a little bit of extra money each month. Then, take the savings and place them into your savings account each month instead. Insurance: There are a variety of different insurance companies out there, so taking a look at your different options on a regular basis is a good idea. Take a look at the different rates available from the various providers, in addition to options you can cut back on to reduce your monthly bill. While many people avoid using credit cards to help them stay out of debt, using a credit card responsibly is a great way to get a little bit of free money. When picking a credit card, choose one with a cash back option on purchases you frequently make. Then, use the card to buy your everyday items from groceries to gas. At the end of the month, you can receive cash back toward the payment of your balance or as a check that you can deposit directly into your savings account. To make the most of this method, be sure to pay off your credit card balance at the end of the billing cycle to avoid interest charges. Working to increase your savings sometimes means making sacrifices. Take a look at your monthly budget and find areas where you may be spending more than you need to on creature comforts. From cutting back on your morning coffee to taking your lunch to work instead of going out, slashing your frivolous spending can help you save more money each month. To make the most of your cut-backs, be sure to put the money you save each week directly in your savings account so you’re not tempted to spend it on something else. If you have already tackled your budget and taken steps to reduce your expenses and you still need to increase your savings, consider starting a side hustle. There are a variety of ways for you to earn extra money each month, from selling things around the house to getting a second job. Simply figure out what type of side hustle works best for you and place any extra money you earn from your side gig directly in your savings account. Saving money can be hard, especially if you are not in the habit of saving. So whatever your reason for wanting to add more money to your savings account this year, using these tips you can make it so much easier. Save Money On Groceries without Coupons!